Delivering quality IT solutions for businesses of all sizes around the globe. Hiring the right team is important to build a high quality product. Techliance takes pride in its solid processes that ensure high quality product every single time. Building your own app is a dream that comes with a high price tag. Our offshore resources help us cut the cost down without compromising on our processes. Using the Agile methodology, we work in small tangible deliverables. The deliverables are verifiable and usable, ensuring that your money is well spent and there are no surprises. We believe in personal connections and do our utmost effort to become an extension of your business. We encourage a mutually beneficial relationship based on respect for each others culture and interests. Businesses needs to stay online and readily available 24/7. We understand this need and have support contracts that would allow us to watch out for your website and IT infrastructure while you focus on your business. E-Commerce websites are a major target for hackers and fraudsters. Millions of records get compromised every year. Our team follows a secure software development model that ensures your business is secure. There are more internet users on mobile than desktop. Businesses can’t afford to have “No-Mobile” strategy. Dave is happy, So are we! A website is the first impression of your business. Rejoice your customers with our “Customer Centric” web design services. LulaRoe is a big retail clothing brand which is growing leaps and bounds. They needed a solution to manage their product catalog with 250 new SKUs added every day, purchase orders, inventory and demand forecasting. Techliance built this responsive backend system with integrations to 3rd party applications using Laravel 5.2 and VueJS on LAMP stack. TenantTech is a platform that allows real estate agents/owners to manage their properties. Users can track prospects, gather applications, interface with screening companies, create move-in paperwork, send notices, and much more. Techliance helped develop various modules including but not limited to Form management, Unit management, Global search, Dashboard, Notification system and Reporting. ManhattanFruitier sells fresh fruit baskets of unequaled beauty and quality. 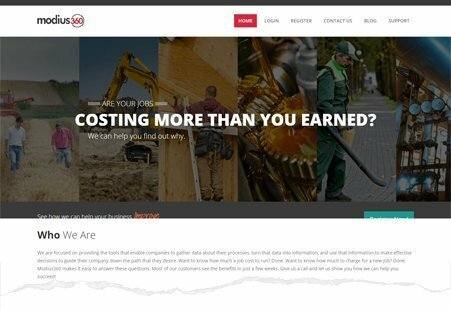 They had an existing website and a desktop based backend which they were not happy about and wanted to take their website and backend to the next level. Techliance developed an open cart based solution using the latest technologies and integrated the backend and website as a single browser based platform. 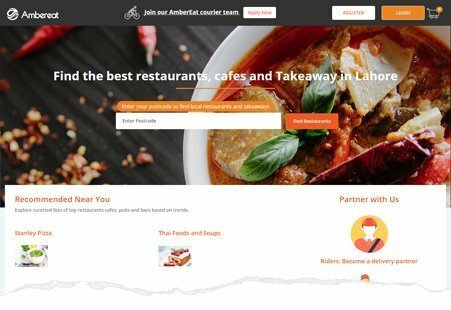 Ambereat is a platform for foodies to find best restaurants, cafes and takeaway nearby. Foodies can order food and the restaurant will use the platform to deliver the food to the customer. With menu, schedule, order and delivery management features, this chains to manage their operations across the whole franchise or a particular region from a unified interface. Foodies can find and order food on mobile as well as web platform. Techliance developed this application using Opencart open the application as per customer requirements. SPERA is a fresh startup building a solution for Freelancer and Businesses to manage their projects and accounting on a single platform. The solution has a full blown project management system with tasks, user management, invoices, document management, rich collaboration and user management modules. The solution allows freelancers to track their time, generate invoices and collect payments without leaving the platform. Jehv loves it, So will you! 01 How much time per week do an engineer work? Our engineers work 5 days a week, and maintain a minimum of 40 work hours/week schedule. 02 Can I pay with credit card? We encourage payments via ACH or check. We charge an additional 2.5% on payments via credit card which are subject to prior approval. 03 Do you offer hosting/domain name services? No, however, we can recommend a good hosting provider and a domain registrar. 04 How many days off shall I expect in a calendar year? We have 10 gazette holidays and employees can avail up to 16 personal days off. 05 What kind of overlap will I have with my team? It depends on your time zone and engagement model. Usually, we have 2-4 hours of overlap time. 06 Who manages the project? We follow Agile principles which dictates that the ownership of the project is shared between scrum master (we can call him a project manager) and the client. 07 Who owns the code? You, the client is the owner of the code unless explicitly stated otherwise. 08 I am not satisfied with the team performance. What are my options? You can address the issue with your account manager and even with the executives. Your opinions are respected and are taken very seriously. We will do our best to resolve any issues. If you are still not satisfied, you can request a replacement or cancel your services.